I am about to leave the office to conduct a presentence mental health evaluation at the Denver County Jail. As always, I am sure it will be interesting. The story raises some interesting questions about the quality of representation an overworked attorney is able to provide. According to several news sources, a Colorado judge sentenced The Heenes to probation and jail time (90 days for the dad and 30 days for the mom). In addition, the judge barred the Heenes from being able to profit from the incident. I just recently finished working on a case where I was attempting to provide mitigating evidence for the defense. These are always tough cases, because I want to be helpful to the attorney who hires me, but I often don't find information that is going to be of much use. Sometimes, I actually gather data that ends up being potentially harmful to the defense's position. I hate having to tell defense attorneys that, after a lot of time and money spent, I have nothing for them. But, I do it anyway. However, in the recent case I mentioned above, I did find information that I thought would offer mitigating evidence at a defendant's sentencing hearing. This was a 19 year-old who pleaded guilty to an assault charge and was facing 10-64 years in prison. His co-defendant received 24 years, but my client received a sentence of 18 years. I can't be sure, but I think the evidence I found and was able to testify to at his sentencing hearing affected the judge's decision. I was basically able to confirm with psychological data much of what his family members had said about him at the sentencing hearing. 18 years is still a long time, but it felt good to be able to play a part in shortening the defendant's sentence. He definitely did something very bad, but his actions were in part due to some serious mental health issues beyond his control. I will be at the Jefferson County Courthouse this afternoon for a sentencing hearing. I will be testifying as an expert for the defense. I will be braving the snow this morning and leaving the house early to drive to the Jefferson County Jail. I am working on an evaluation to attempt to find some mitigating evidence for a defense attorney. 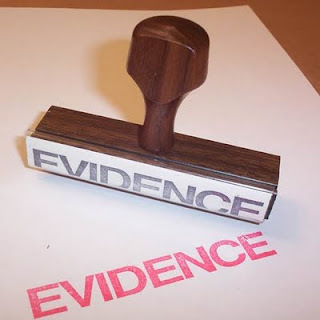 What Evidence Can Expert Witnesses Use? In 1923, the U.S. Supreme Court decided the landmark case of Frye v. United States. In that case, attorneys were attempting to enter into evidence information from a polygraph test. The Court ruled that scientific evidence can be admissible if it has "gained general acceptance in the particular field to which it belongs." This is sometimes referred to as the "general acceptance" standard. It must be subject to empirical testing: the theory or technique must be falsifiable, refutable, and testable. It must be subjected to peer review and publication. It must have a known potential error rate. The existence and maintenance of standards and controls concerning its operation must be in place. It must, to some degree, conform to theory and technique that is generally accepted by a relevant scientific community. In 1999, the U.S. Supreme Court further refined its ruling on admissibility of expert testimony. In Kumho Tire Co. v. Carmichael, the Court ruled that the Daubert ruling applies to the three types of knowledge mentioned in Rule 702 (Federal Rules of Evidence), scientific, specialized and technical. Psychological evidence is covered under Daubert. It is interesting to note that, due to a 1998 ruling in United States v. Sheffer, the Court found that procedures that appear to be valid and reliable must be closely scrutinized using the Daubert standard. Most courts do not consider psychological expert testimony that involves only clinical/medical judgment (i.e., it does not involve tests or assessment procedures) to be subject to the Daubert standard. However, if a psychologist uses tests or assessment procedures that give the appearance of "infallibility," then that testimony's admissibility hinges on whether the procedures meet the Daubert standard. So, what does this mean? Essentially, a psychologist or psychiatrist can say whatever he/she wants to about a particular case, and it can be entered into evidence as long as that testimony is only based only on the professional's clinical/medical judgment (even if that judgment is absolutely incorrect). As soon as a professional starts using tests and procedures that increase the accuracy of clinical/medical opinions, his/her testimony must be held to a higher standard. NOTE: The standards I discussed above apply to federal cases only. Many states have adopted similar standards, and are often referred to as "Frye states" or "Daubert states." In Colorado, the decision in People v. Shreck (2001) dictates the following: "Under the standard established in this rule [Rule 702, Colorado Court Rules of Evidence, Testimony By Experts], the trial should focus on the reliability and relevance of the scientific evidence and determine the reliability of the scientific principles, the qualifications of the witness, and the usefulness of the testimony to the jury. In determining the reliability and relevance of the evidence, the court should apply a broad inquiry and consider the totality of the circumstances in each specific case, considering a wide range of factors. Because the applicable standard is so liberal, the court should also apply its discretionary authority under C.R.E. 403 to ensure the probative value of the evidence is not substantially outweighed by unfair prejudice." In my experience, the Shreck standard allows for the vast majority of the data a psychologist or psychiatrist could produce (no matter the quality of the data) to be entered into evidence.